I'm very upset about what happen in Boston today. It's a tragedy in every respect, and my heart goes out to all the victims of the explosions. Most of all, I'm devastated that an 8 year old boy had to lose his life over someone's selfish agenda. My thoughts and prayers go out to all the families and people who are suffering in Boston right now. I have two Lacquer Lust polishes to show you tonight, since I was finally able to snag a couple during the last restock. She doesn't stock too many polishes during her restocks so the bottles sell out lighting fast. The first polish I have is Babycakes, a delicate pink tinged white crelly polish with hex glitters in dark gold, pink, white, and blue. The first coat was super sheer but I was able to get opacity with three coats. It dried smooth on its own and I only needed a coat of Poshe to add some extra shine. 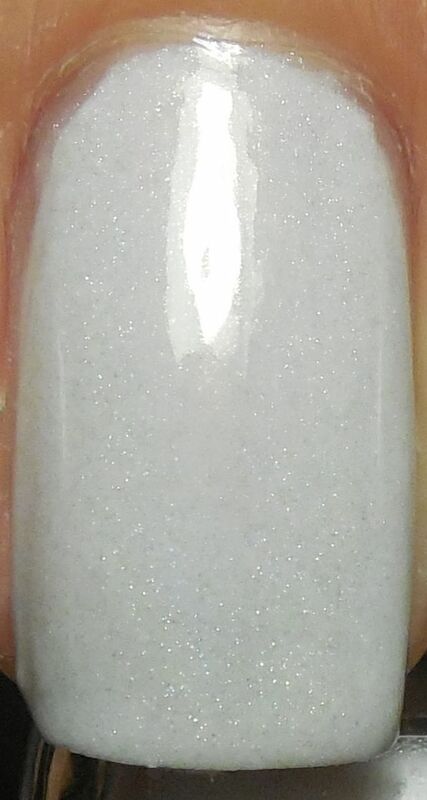 Next I have Eternal Bliss, a beautiful silvery white holo. I had trouble getting the holo to show up on camera but there was definitely a faint silvery rainbow. 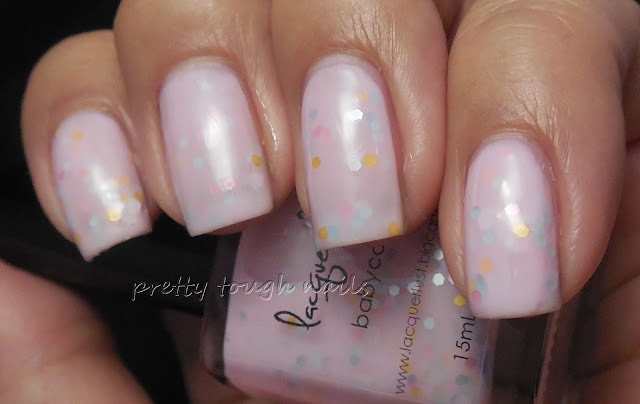 The formula was sheer as well and I used three coats to get opacity. No topcoat in these pics. The first photo is in taken in the light tent, the rest are taken directly under light. I wish Eternal Bliss had a bigger holo flare but it was really difficult to see indoors, even under direct light. Next time I try this I'll see if the holo peeks out in sunshine. 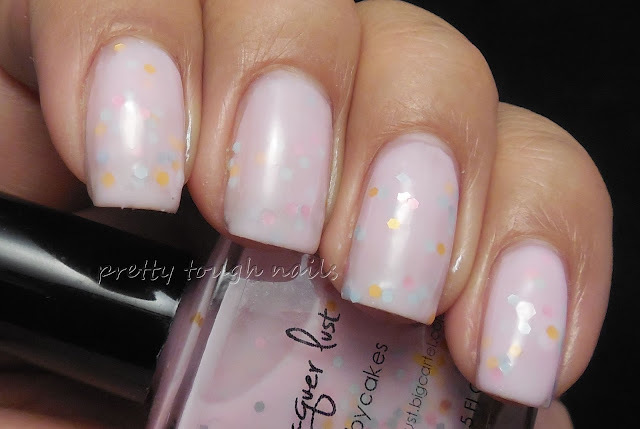 It's still a very pretty delicate looking polish that I could see myself wearing. Babycakes was equally as pretty but maybe not as unique as other indies I've seen. I really like the dark gold glitters though, there doesn't seem to be many polishes that have that color. After seeing these, would you f5 refresh repeatedly to score some Lacquer Lust polishes?